One of the reasons that we love Android is flexibility and customization. Android launchers give you a lot of room for personalization/customization and that’s what we’ll be looking at today. Here are some of the best Android launchers that you can get right now. Your launcher is the first thing that you see after unlocking your phone. It gives you access to your apps and widgets while shaping the way that you interact with your device. Google has its own launcher, but most manufacturers prefer to either pre-install their own launcher along with their custom Android skin. Some examples are EMUI, MIUI, Samsung Experience, etc. But, this is where it gets awesome. If you don’t like the launcher that was pre-installed on your device, then you don’t have to stick with it. The Android ecosystem allows you to install and use 3rd party launchers as well. 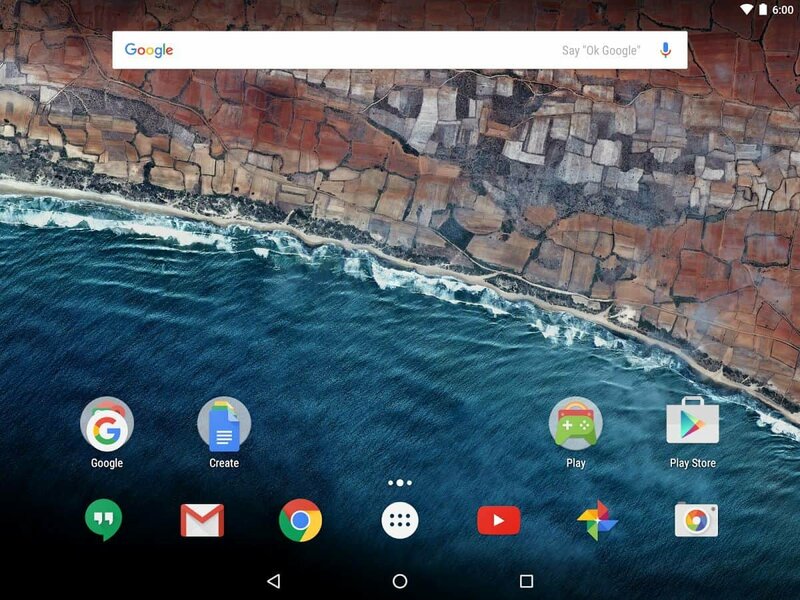 A different launcher can massively change your overall experience with your device. Not only in terms of functionality and beauty, but also in performance. That’s why we’re going to look at what we consider to be the best Android launchers that are available at the moment. Do keep in mind that we are not ranking them because choosing a launcher is mostly a matter of personal preference. Are you looking for simplicity? Do you like having everything in the right place and order without spending too much time organizing? Then Smart Launcher 5 is definitely one of the best Android launchers for you. Not to mention that it’s also extremely lightweight. 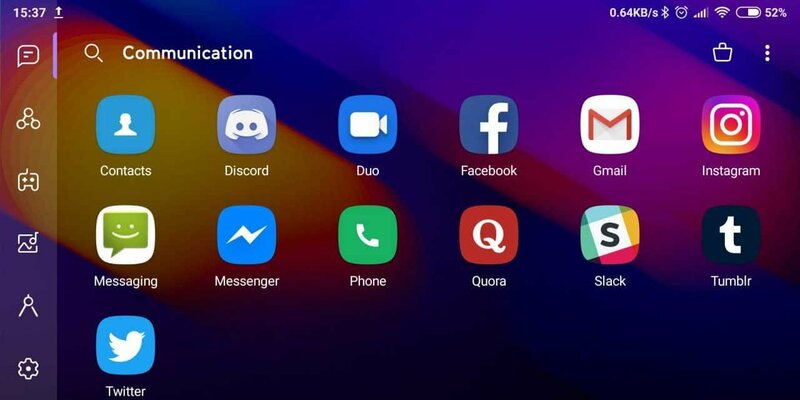 As you can see in the image above, Smart Launcher 5 automatically splits your apps into different categories. These categories are Communication, Internet, Games, Media, Utilities, and Settings. In the rare case that the launcher placed one of your apps into a wrong category, you always have the option of manually moving it to a different one. But, to our experience, everything is pretty much on point. This is the free version of Smart Launcher. So, it has a couple of downsides as well. The first problem is that you may see an ad every now and then but that’s not a big deal. The second one is that you can’t place widgets in the home screen (except the right side) unless you get the premium version. And, of course, many extra icon packs and lock screens will ask for a price as well. Though with that being said, there are still plenty of free options to choose from. While we are at it, yes, you can also replace your current lock screen with a different one. But, more on that later. If you’re interested on a dedicated article about lock screen apps, then let us know in the comments section down below! Nova Launcher is one of the best Android launchers because, well, it just works. Seriously, that’s all there is to it. This is somewhat of a traditional launcher for traditional types. But, that doesn’t mean that you can’t get your hands dirty if you wish to do so. Sure, you don’t have the same room for customization, personalization, and creativity that other launchers will offer. But, still, there are lots of things that you can change. App drawer animations, swiping animations, row customization, scroll effects, icon layouts, you can resize widgets, you can customize the dock, folders, look and feel of the app, and more. Though at the end of the day, Nova Launcher is ideal for those who want something that just works out of the box. That, and it’s also extremely lightweight. In fact, Nova Launcher is one of the most lightweight Android launchers that we’ve ever seen. It’s extremely smooth and fluid. And with that being said, we just have to mention that a couple of animations there do look a bit sluggish. 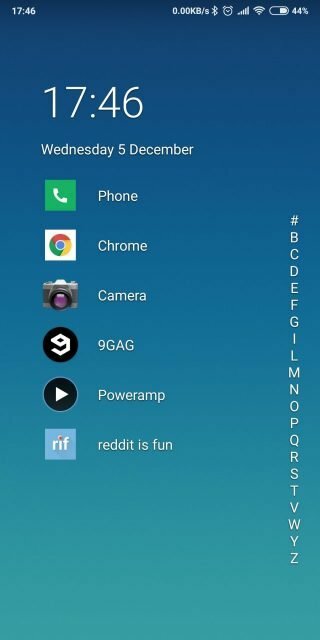 For an example, the horizontal app drawer animation felt kinda weird. Again, if you’re looking for customization options, then you’ll surely find a few here. But, if that’s your main focus, then you’ll find better choices out there. Nova Launcher is mostly for those who want something lightweight that works out of the box. Now that this is out of the way, why don’t we look into something that’s a bit more fancy? Go Launcher 3D is your go-to choice for flexibility and customization. You’ll find everything that you can possibly want in terms of customization here. Themes, icons, free wallpapers, custom widgets, animations, size customization, app drawer customization options, and animations, you name it. There’s something for every personalization lover here. 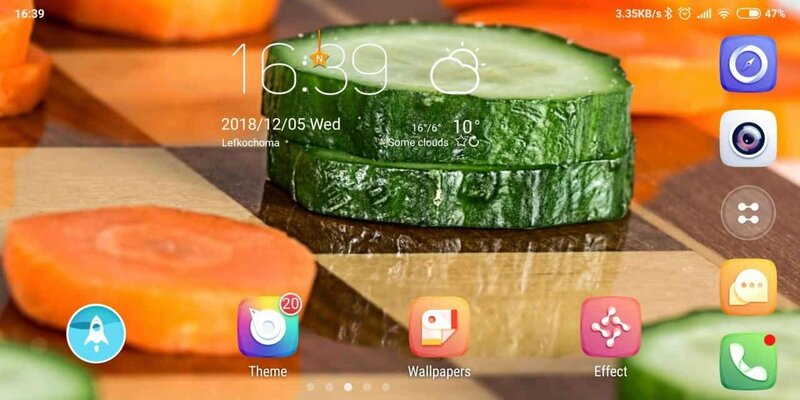 If you are willing to pour time and effort into personalizing your phone, then Go Launcher 3D is absolutely one of the best Android launchers that you can get right now. Though with that being said, it’s not like everything is perfect. Certain animations do feel a bit sluggish and ads are being displayed after almost every customization choice that you make. One more thing. Why did you think that we mentioned Nova Launcher previously? Exactly. Because it’s a lightweight launcher that works right out of the box. And Go Launcher 3D is the exact opposite of that. We’re not saying that it will slow down your phone to a halt. But, it definitely feels a bit heavier and sometimes slower than both Smart Launcher 5 and Nova Launcher. Nowadays, unlike a few years ago, even budget smartphones are incredibly powerful. 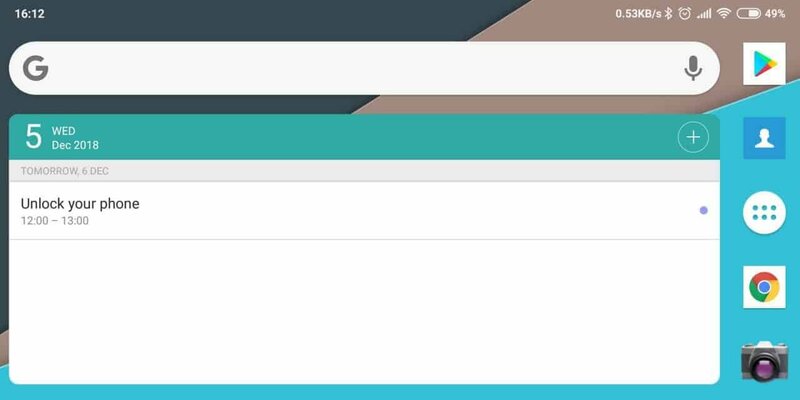 So, chances you won’t notice a big difference in launcher performance – even if you’re a budget user. Still, we just had to mention it. When you first open Go Launcher 3D, there are lots of things that you need to take care of. Lots of useless shortcuts and recommendations will be cluttering your screen and you’ll also need to pick the animations and icons of your choice because the developers went with the fancy option right out of the box. Still, if you’re a fan of personalization, give this one a try. Microsoft is one of the biggest tech companies in existence right now and also the creator of the Windows OS. How could we not include their launcher on our list? Microsoft Launcher is one of the best Android launchers that we’ve ever tried if only for how incredibly smooth it is. Seriously, the animations and scrolling of this launcher are out of this world. We’re not exactly sure how that’s possible, but scrolling through apps and our feed just feels slightly better compared to most of the other launchers that we’ve tried. Same goes for going back and forth between different apps and the launcher. The animations are just very fast and fluid. 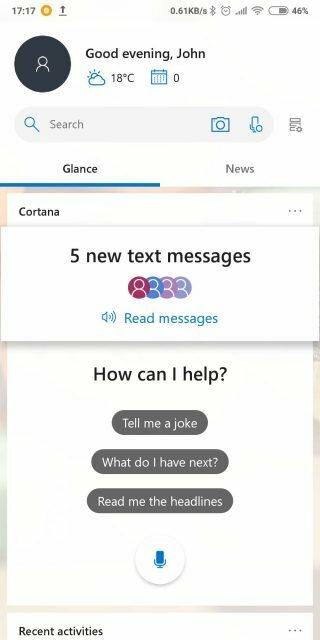 Furthermore, you will also have the option of using Cortana which is Microsoft’s voice assistant. It’s pretty much the same thing with Google Assistant and you can use it for both being productive and just messing around. Other than that, on the left panel of Microsoft Launcher, you also have your personal feed which consists of calendar events, recent messages, calls, activities, and whatever else you want. That’s because you can also customize it. Speaking of customization, there are not a lot of options here. Microsoft Launcher is another rather simplistic launcher that is very responsive and fluid but doesn’t give you a lot of room for customization. In terms of negative aspects, there’s not much to talk about here. Microsoft launcher has very few things to work with but they all work very well. So, you really either like it or not. Niagara Launcher is the newest launcher on this list. In fact, it’s not even officially released yet. No need to worry. You can probably still install it from the Play Store if you wish to do so. Niagara Launcher isn’t only the most recent launcher that we’ll be checking out, but also the most lightweight one with an extremely simplistic and minimalistic UI. That’s why we think that it’s one of the best Android launchers that you can get right now. See that screenshot that we posted above? That’s all there is to see in this app really. There’s nothing more to it. Only your favorite apps along with an app drawer which consists of your installed applications. So, how’s that good? Well, first of all, as we mentioned above, it’s the most lightweight launcher that you can get. It feels faster than anything else that we’ve ever tried – including Nova Launcher. Not by much, though. Still, that’s great for budget users. At the end of the day, if you’re looking for the most minimalistic launcher that you can get then you’ll definitely love this one. There’s just no fancy stuff on it whatsoever. You won’t have to tweak absolutely anything in order for this to work. You just install it, select your favorite apps, and you’re ready to go. So, if you’re looking for the most minimalistic, simplistic, and most lightweight launcher than you can get, do definitely check out Niagara Launcher. Just do keep in mind that it’s still in Early Access/Beta and not officially released yet. Don’t be surprised if you experience any crashes or if you can’t even install it in the first place. The only reason that we didn’t mention Google Now and Pixel Launcher, is because there are phones that don’t support them. We’re not sure why that is, but it’s most certainly a huge deal breaker. Feel like there is another launcher that’s worthy of being called one of the best Android launchers? Then do let us and everyone else know about it in the comments section down below!